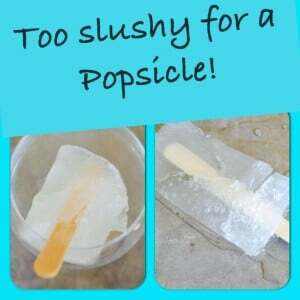 Popsicles – yes please! 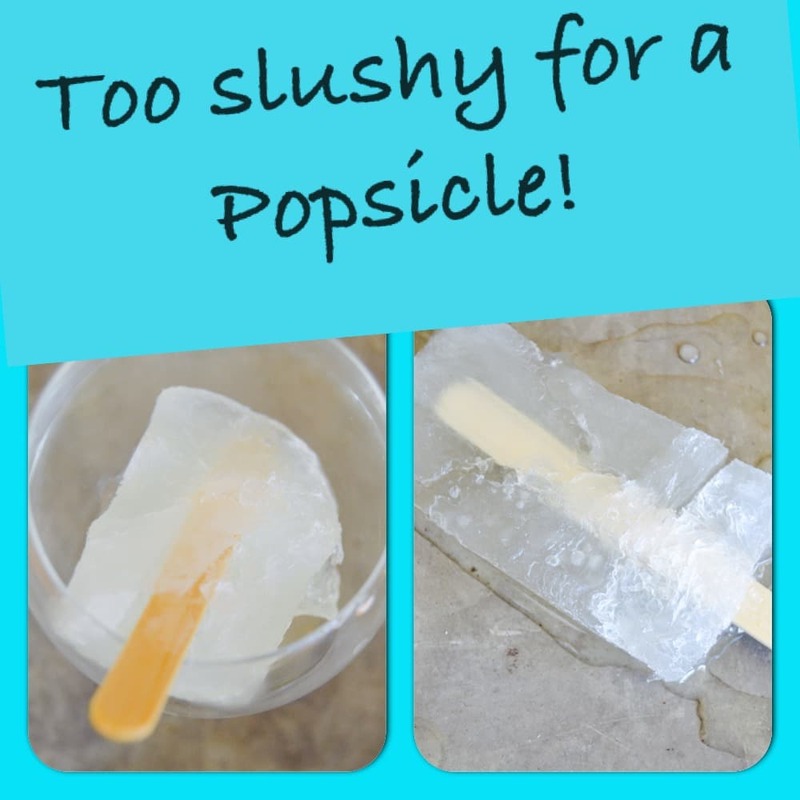 Popsicles with alcohol in them— ok, game changer. Happy place here I come! 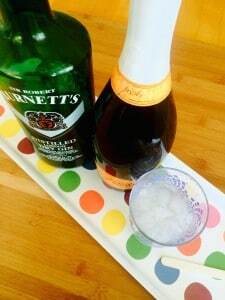 A perfect idea for this week’s Friday Cocktails! I love summer because it’s warm and the days are long. I also like to have a cocktail occasionally but in the summer I enjoy lighter, icier, colder drinks. One of my favorite cocktail is a French 75 so when I saw all of the different boozy popsicles it was one of the first things I thought of to try and make into a popsicle. Several people have done it successfully; I’ve seen the pictures. 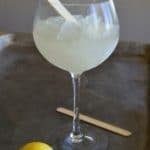 While I couldn’t get an edible popsicle, I was able to get another great icy cooler made using the classic French 75 recipe. Historically the French 75 became popular in World War 1. When it was first made people commented that it knocked you as hard as French 75mm shotgun! While I don’t think they are particularly that strong, they are quite delicious. Of course there are many early references to similar drinks with liquor and champagne and fruit juice earlier in time, but the French 75 itself was coined in the early 1900’s. Most recipes I found made it with gin, but a few in recent years have started substituting Vodka. Being a purist and loving the original cocktail with gin, I stuck with it for my Icy French 75 cooler. Good ingredients for a fine Drink! In the end, the cocktail itself is so good I decided to make it like the Icy Rum Slush Cocktail mixing it all together, then pouring into a baking dish and freezing instead of the ice pop mold. When you take a sip of this you get flavor from every ingredient: first the sugar and the lemon, then the blend of champagne and the gin right at the end. 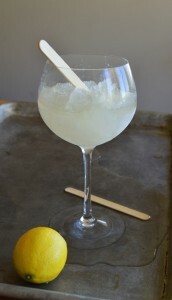 With the icy texture it is perfect version of a French 75 for the warm summer days. Need a new summer drink that's light, refreshing and easy peasy? An Icy French 75 is a perfect choice for those hot summer months to add a little zing to your life. Mix all ingredients in a pitcher well. Pour into a baking dish and place in the freezer for 24 hours. At 24 hours stir and serve in either wine glasses or highball glasses. We need to make this again! We loved it! 24 Hours? Can you test it several times while freezing to make sure it’s setting up correctly?